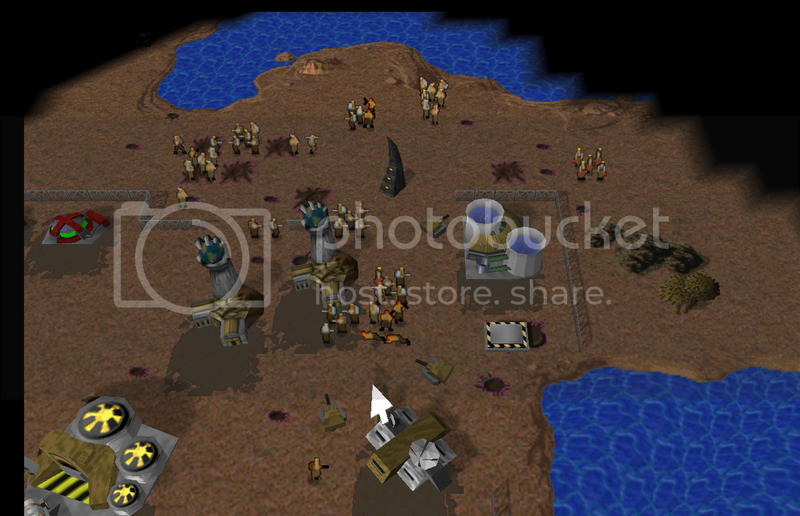 Tutorial: How to add a C&C95 map to the 4 years newer Command & Conquer N64 Rom! 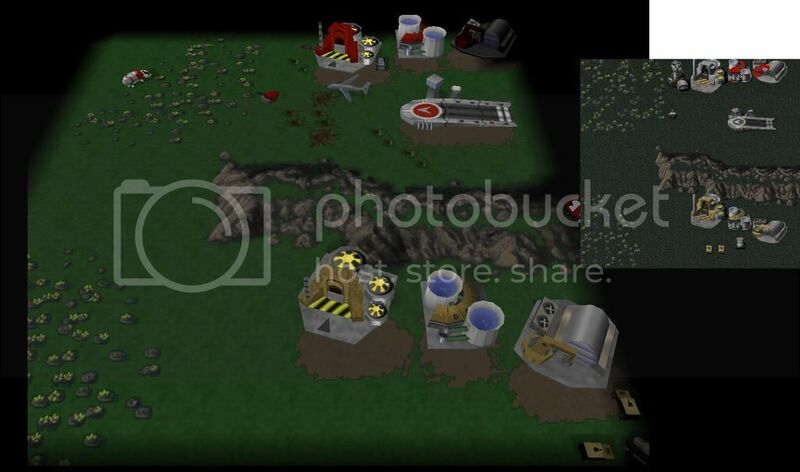 Thanks to the lead programmer at http://www.goldeneyevault.com and to Nyerguds (the Creator of the revised 1.06c version of C&C95 found here: http://nyerguds.arsaneus-design.com/cnc95upd/cc95p106/) it is now possible to add your Command & Conquer 1995 map to the four years newer Command & Conquer 1999 that was redone in 3D for the Nintendo 64. To start off I'll note that i was surprised to learn that the file formats for the INI are the exact same! And thanks to a tool that Nyerguds has made up for us we can easily convert the .bin maps to .map (which is what C&C64 uses instead of the bin). There's also an additional file for maps that a .IMG extension and is responsible for the 3D terrain effect seen on the C&C64 that you'll see in the images below. I'll also note that it's not essential to have the .IMG file to play your map you just won't have the 3D terrain effect. 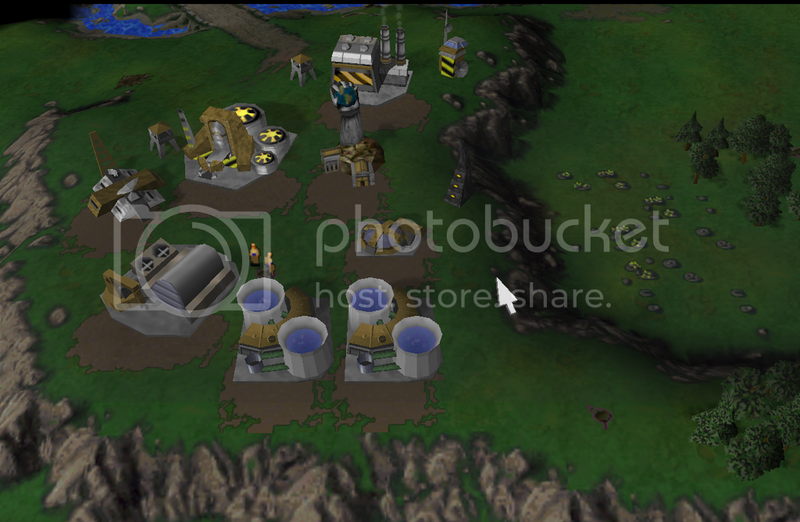 In fact, it's not even essential that you have the .map (bin) file either, so you can play maps that are clear of terrain other than trees/tiberium/buildings/units/triggers etc. I'm not an experienced tutorial writer, so bear with me! 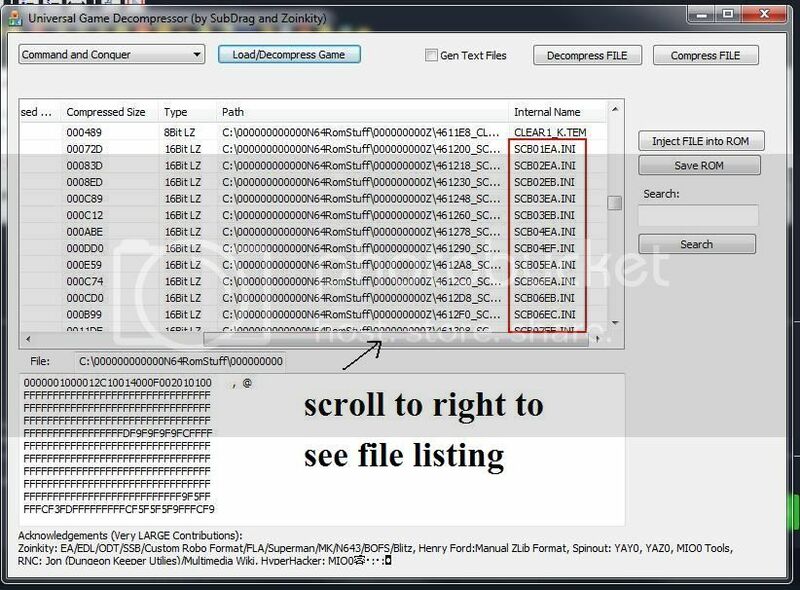 Now click 'load scan result' and select one of the included .nms files. You'll see there is one for desert and one for temperate. so click the correct one for the map you have. After hitting OK, you'll see some stuff on the list which you usually don't have to get involved with. 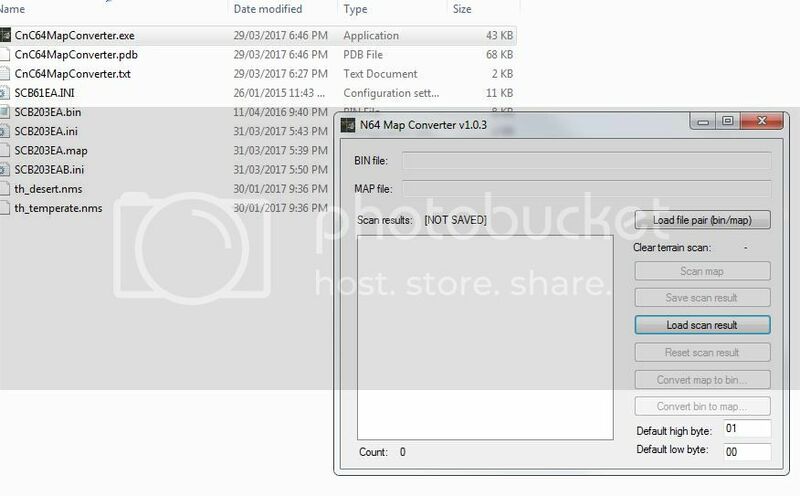 Now you're ready to hit 'Convert bin to map' and select your bin file. It will then ask where you want to save your map... probably in the same place, so there you go, that's done! Now moving on to the decompressor program. 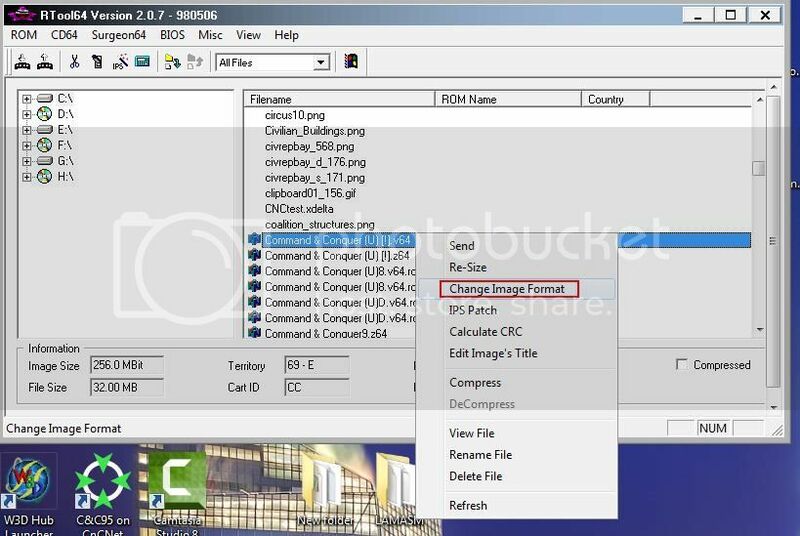 So yeah select your C&C64 rom and click change image format and you're done with that! 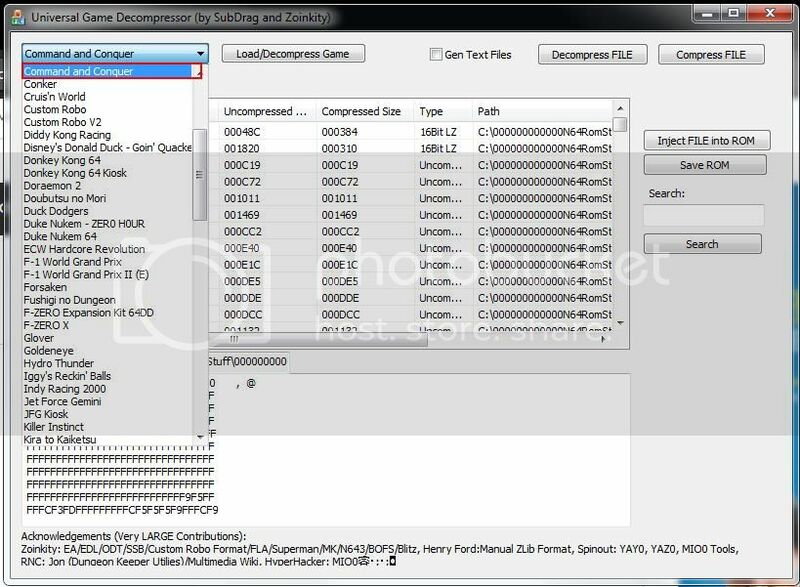 That's required to make your rom editable. 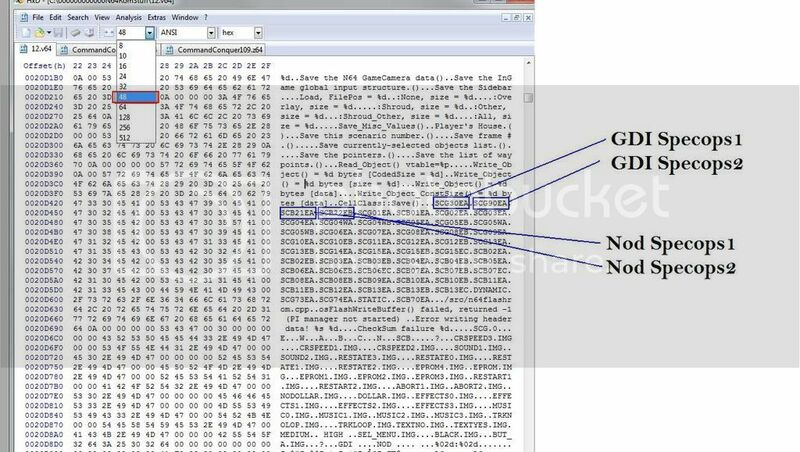 Scroll down until you reach the mission .ini files, and from there it's almost as simple as selecting the map file you want to replace with whichever map you want to insert there, except that there are size limits for each map, especially when dealing with the ini's. Luckily when you hit "Inject file into ROM", if the file you are trying to insert is bigger than the file you're replacing it with, it will warn you if you are replacing a file that is smaller than the one you're inserting. So if that comes up you're usually best to hit 'no' and find another file to replace that has enough room for the map you're inserting, otherwise part of your map will get cut off and you'll find that out ingame. Assuming you have a .ini and a .map to insert, once you have found slots to insert them in where there's no size problems, take note of which map filenames they were that you replaced. It's also important to note that the name of your map before you insert it doesn't matter, so your map that you are wanting to insert can be called anything like gdrhgsdfg.ini for example. The only filename you need to remember is the one you replaced. So let's say hypothetically you chose to replace scg15ea.ini with your ini and scb07ea.map with your map(bin) file (for future reference). Now click 'save ROM' and save it somewhere, preferable outside the folder which is now littered with extracted files. See how the slots where my maps were inserted are now changed to match our Special Ops slot and map name. 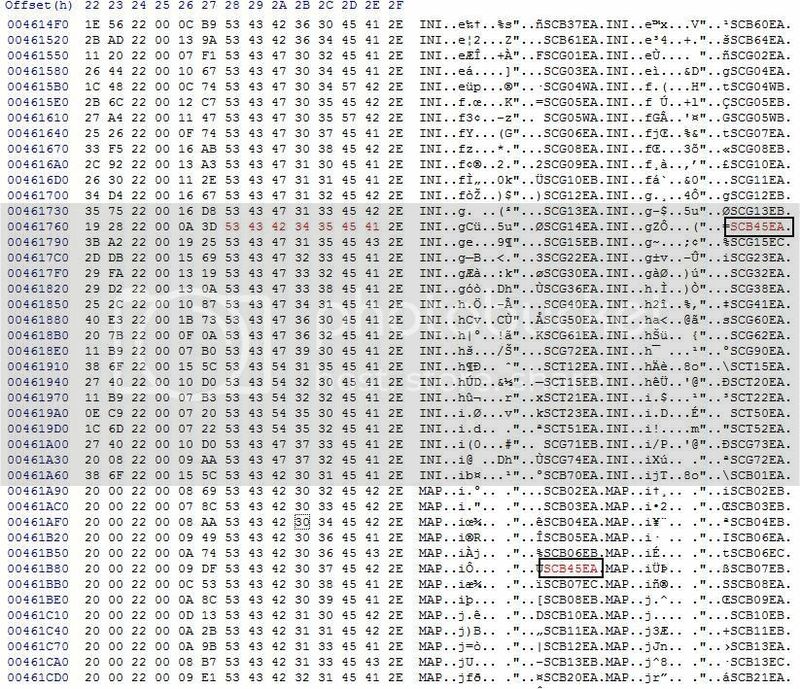 Now all you have to do from your hex editor is save your ROM and load it up in Project64, go to the SpecOps slot you used and play it (or if you chose a mission map slot between 1-15 just go to that map and play). 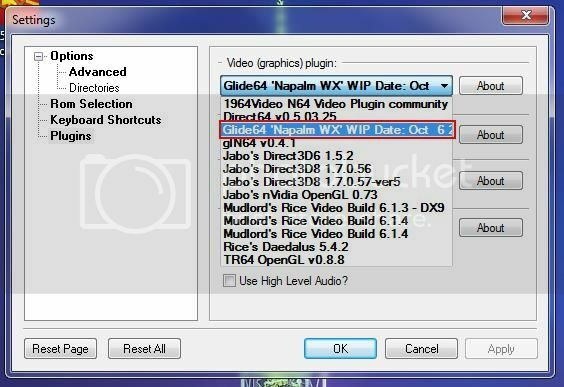 It runs the game almost perfectly, and all other video plugins seem to have problems. There were more details i wanted to get into, especially with what you can do with the hex editor, so i may edit this tutorial in the future. I hope I didn't miss anything and I hope i detailed everything well enough for people to follow. If you have any questions, feel free to PM me anytime if you happen to be confused about something. Cheers!